The purpose of the book is to help you do as the title says – and set yourself apart from the general population of GAMSAT students. Two years in the writing, this book represents everything I’ve learned while coaching students on their written communication. It addresses in great detail the most common problems, pitfalls and questions that students experience in GAMSAT Section 2. It’s a short book, at just over 30 pages it shouldn’t take two hours to read. It’s also pretty dense in content so you may find yourself going back to it and understanding a little more each time. Although some of the topics enclosed have already been discussed in tutorials on this site, they are addressed in an entirely different manner in the book. The content is 100% new and unavailable anywhere else. You will not find the same advice in any other commercial guidebook, because no other guide deals so deeply and exclusively with the subject of written communication. Download a preview to get an idea of what’s in it. Or click the icon below to download the full thing right now! In Sections 1 & 3 of the GAMSAT your score is determined by comparing your answers to the correct ones on the answer sheet. You get points for every right answer. On S2 your essay is not compared against a standard objective answer sheet, but against the work of other students. Your writing will be marked against the best essays and stories written by students this year. The best ones become the standard by which all the others are graded. The curve is low. The average is not very good. If you are writing the same things that everyone else does then your score will be equally uninspiring. S2 is not a section for producing standardised rote-learned word documents. It is about expressing yourself, and doing it in a clear, concise and purposeful manner. With years of experience tutoring hundreds of GAMSAT students, I know how you guys think. 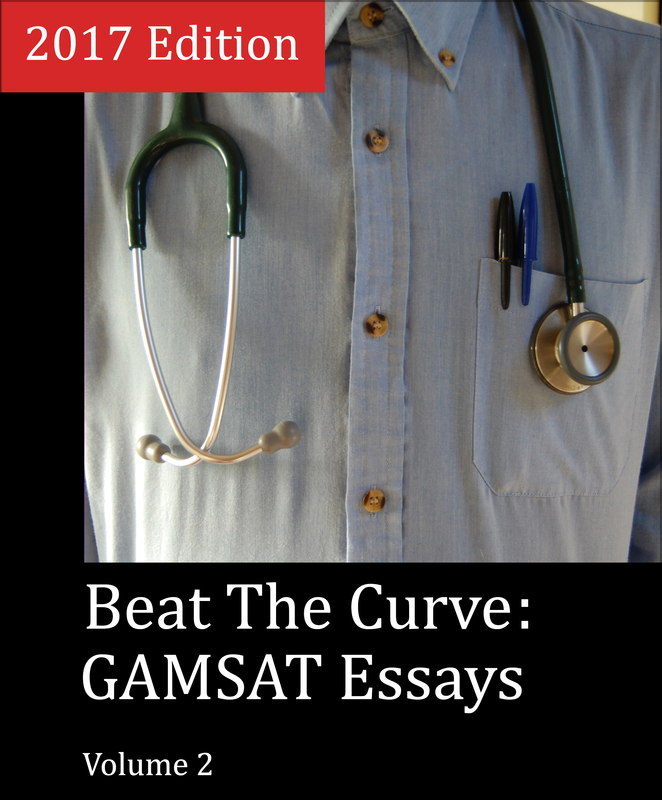 If you want to ‘beat the curve’ on GAMSAT Section 2 then you need to think differently to everyone else. And be confident expressing your own thoughts in words. This book will show you how to do this. How to find your personal niche in written expression and produce writing that stands out from the droning masses. There are more words and more pages in this 2017 version of Beat The Curve, because there’s more in it. My goal in writing this book has been to save myself time answering the most common questions about the exam so that I can spend more time helping individual students to resolve their specific concerns and problems. After a year of students downloading the book and providing feedback I have realised some bits that were left out. Top questions that students had been asking but which I had neglected to fully resolve in the first volume of the book. This volume clarifies a number of additional concerns students have been having which the original left out. 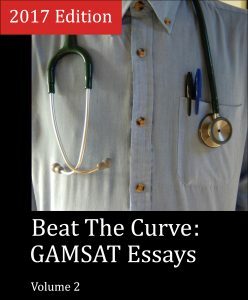 It also contains a series of sample essays demonstrating dramatically different approaches that you can take to passing GAMSAT Section 2.